SIRANE’S new Australia team enjoyed a great trade show debut at Auspack – with plenty of interest in our Earth Packaging range and our absorbent products. 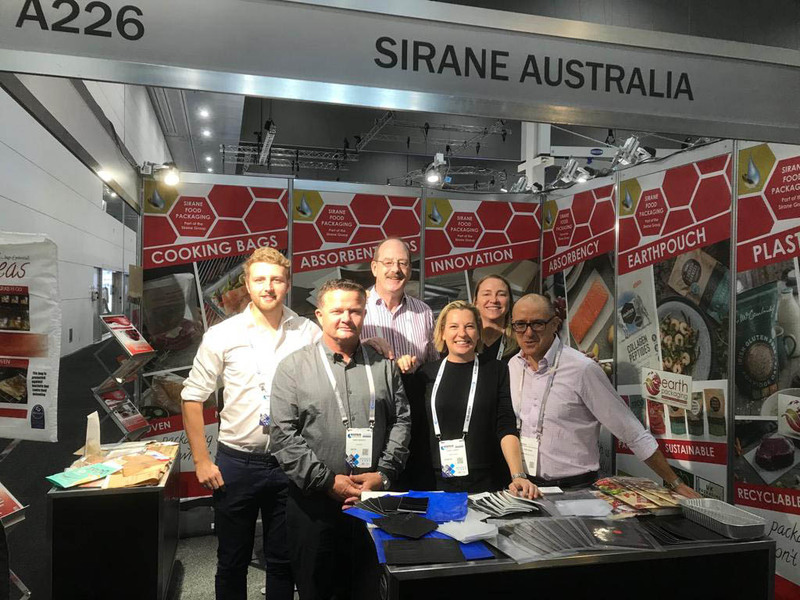 The Melbourne show allowed Sirane Australia to meet a whole new audience – as well as a few familiar faces – and for Sirane it was four very busy days. 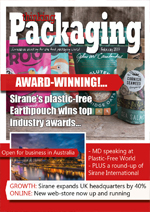 Sirane Australia opened in the new year, in a bid to take the company’s innovative packaging solutions to new markets in Australia and the wider region – and the expansion project has been led by Stacey Loader and Polly Duffee. “Sirane has some great products in this area, products which can make a real difference – there’s no surprise we’ve already won two top awards in the UK. They were joined in Australia for the show by group MD, Simon Balderson, as well as Chris Brent from aDeo, our distribution partners for New Zealand. Simon Balderson said: “Auspack was a great show, and we were certainly kept very busy. There was a real appetite for sustainable packaging, including our plastic-free Earthpouch and Earthfilm, but also for some of our innovative absorbent products, and our ovenable/microwave packaging including steam-cooking bags. 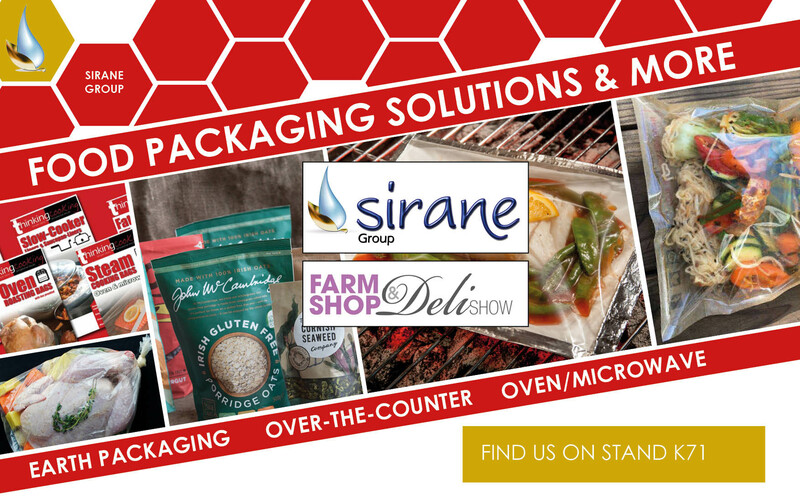 Sirane is an innovative UK-based packaging development-to-manufacture company, specialised in absorbency, ovenable and microwaveable materials, shelf-life extension, microwave susceptor and protective food packaging. We also offer plastic-free packaging, and a wide range of bags, pouches and films. 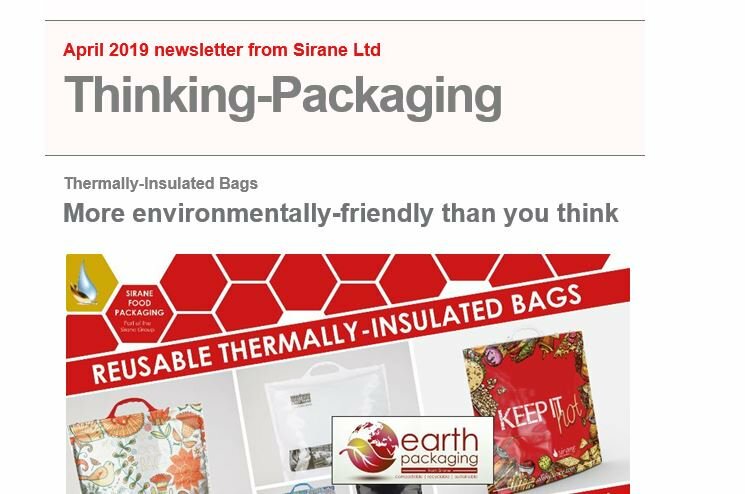 Sirane’s plastic-free packaging ‘Earthpouch’ recently won a top prize at the UK Packaging Awards – taking first place in the Resource Efficient Pack of the Year category. It’s also won a Green Apple Environment Award. Now available in standard, barrier and high-barrier, our Earthpouch is ideal for anyone looking to remove unnecessary plastics from their packaging. It’s also available in reel format for flow-wrap, under the name Earthfilm. Perfect for a range of dry and moist products – including granolas, porridge oats, grains, health/diet supplements and more – this is a paper-based solution with a heat-sealable coating, which can be pre-formed into a stand-up pouch. Simon Balderson, Sirane MD, said: “Earthpouch is a plastic-free solution, a paper-based material with a plastic-free coating which is perfect for a range of products. We can supply it with a range of different barriers, to suit your needs. Earthpouch/Films are a cornerstone of the Earth Packaging range we exhibited – a range of packaging solutions which are all either compostable, sustainable or 100% recyclable. Other products in the Earth Packaging range include our new paper-based absorbent pads – which are both compostable & recyclable, compostable & breathable packaging films, and compostable food packaging boards. Sirane also offers a wide range of other food packaging solutions – all of which are available through Sirane Australia and were made available on the stand. Our Dri-Fresh range includes a wide range of absorbent packaging, including standard absorbent pads, odour-absorbent pads, cushioned pads and ovenable pads, and we offer solutions perfect for meat, seafood, fruit and more. Sirane’s Sira-Cook range includes steam-cooking bags, BBQ & oven bags & nylon roasting-bag materials, with options including stand-up bags, self-seal and heat-seal. Our other food packaging ranges include Sira-Crisp susceptor-based packaging for crisping food in a microwave, Tuff-Hold boneguard, Sira-Flex papers and films for shelf-life extension, and Sira-Form for better food product presentation. 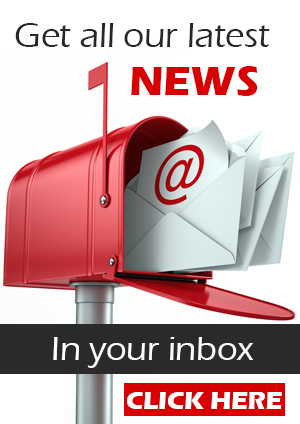 For more information on Sirane Australia, contact stacey.loader@sirane.com or polly.duffee@sirane.com . PICTURED: From left, Nathan Balderson (Sirane Australia), Chris Brent (aDeo), Simon Balderson (Sirane Group MD), Stacey Loader (Director, Sirane Australia), Polly Duffee (Director, Sirane Australia), and Frank Lorifino (Sirane Australia).